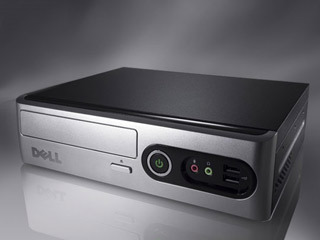 Dell have introduced the EC280 desktop computer, a low cost Mini-ITX based PC aimed at emerging markets. Underneath the hood is a 1.2GHz Intel Celeron M 205, and a SiSM661GX chipset - presumably a very close relative of the recently announced "Little Valley" D201GLY motherboard from Intel. 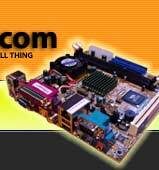 The EC280 measures 4.5 litres, comes with Windows XP Home installed and of course consumes just 65W. Our chinese isn't what it was, but pricing seems to start at around $340.